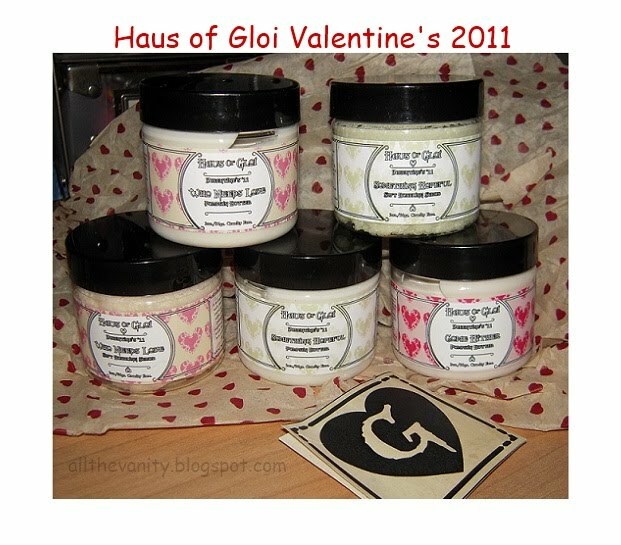 Haus of Gloi Valentine's 2011: a love-ly selection! The unexpected discovery of the vegan bodycare & perfume brand Haus of Gloi a couple of months ago, has turned into a bit of an obsession of mine lately. I blame it all on the pleasantly unusual scents, the amazing product formulas (among the best I've ever tried, no joke) and the simple-but-cute labeling of the jars. So, when I heard that they would be releasing 3 new scents in time for Valentine's day, there was no way I was gonna miss it! 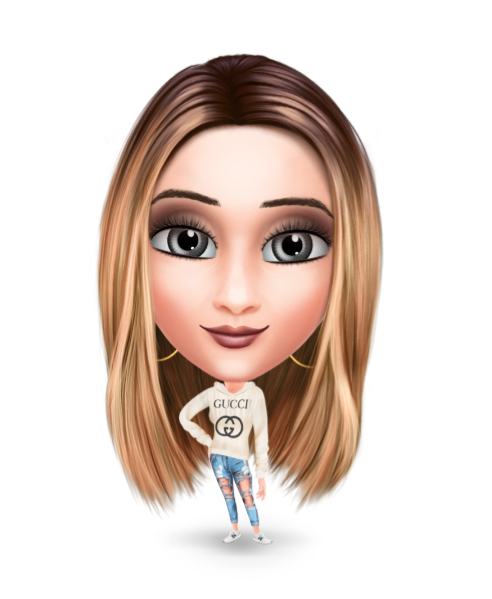 I was, however, a few hours late at placing the order, which is all it took for one of the scents to sell out, so, I had to wait for it to get restocked (which is why you're reading this a little later than expected as well)! Who Needs Love is described as "A mahogany box filled with chocolatey orbs, coated in crystallized coffee - filled with a pomegranate and raspberry filling. 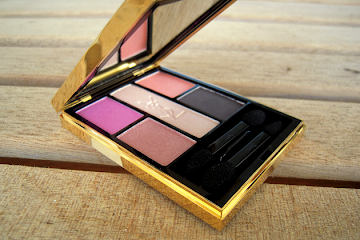 Who needs love when you have something this decadent?". Right when I first read this I was almost mortified - the combination of chocolate and coffee sounded extremely heavy and overpowering. In reality, it wasn't like that at all. Both products in the jar smell very freshly and fruity, and remind me of jam, even though they're not at all sweet. The bubbling scrub left a warm and fruity scent on my skin right after applied (I could detect the chocolatey touch there), whereas the pumpkin butter was undeniably coffee riden (think freshly ground aromatic coffee), even though that doesn't linger on for too much, at least on me. The overall impression was warm and spicey, yet fresh and fruity, an unorthodox combination that somehow works! Something Hopeful is described as: "Perhaps the first stirrings of the spring to come. Warm sakura blossom green tea with the tiniest droplet of plum juice, red madarin and crystallized jasmine essence". Please, close your eyes and picture a fully blossomed japanese garden and you'll know what this scent is all about! The jasmine notes are in perfect harmony with the freshness of the green tea, especially in the bubbling scrub. The pumpkin butter adds a little citrusy touch to the mixture and the overall result is an extremely fresh scent - similar to a spring valley breeze. Yes, it is that good! Come Hither is: "Based off of traditional herbs and roots used in Hoodoo to draw and attract a lover or entice the one you've already ensnared! Bourbon vanilla, tonka bean, cardamom, a touch of rose oil, Queen Elizabeth root, three threads of saffron and a touch of honey to sweeten the deal". Come Hither comes only in the pumpkin butter form (as well as in perfume oil form) and, to my nose, smells distinctly of roses. Not the old lady type though, but fresh, modern and sweet roses if that makes any sense. After the application the rosey notes get toned down on my skin and a warm muskiness emerges. It's one of the few times that I appreciate the rosey notes on a bodycare product, since I usually don't prefer them, but I'll gladly use this up! All in all, this was a lovely "collection", the whole selection was very feminine and spring-appropriate. And I was glad that I chose to get the scents in both the bubbling scrub and pumpkin butter forms, since the effect is not quite the same (something that I had suspected from the Yuletide release). 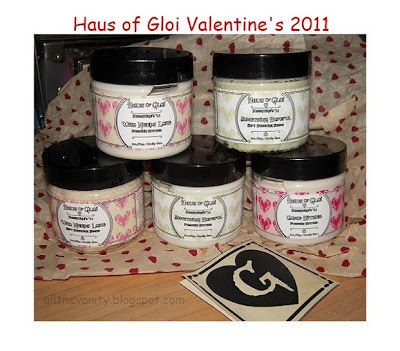 So, have you tried Haus of Gloi yet? And what is your favourite bodycare brand/favourite bodycare products? Have not tried any of the products before but it does sound amazing! Thanks for sharing! Pragmatika fainontai na einai poly kala proionta..Apo pou ta parhggeiles? I have heard about this brand before but never tried it - I suspect I would love it lol... are they expensive? For a few years now, Aveeno body moisturizers have been my HG. Dale has stocked me up well on some Absolutely Natural skincare products which are nice and nearly free of chemicals...as well as Burt's Bees products which are also nice and nearly chemical free as well. I'm a huge Haus of Gloi fan. I ordered most of the Halloween collection in October, Pumpkin Queen is now my favourite scent ever! I've ordered the Something Hopeful scrub and butter, and some Vice soap which I've been wanting for ages but is always out of stock! I have to say though-rather disapointed on the Valentines labels-very plain compared to their usual. All those scents sound lovely and I'm tempted to check them out doll!!! Lovely post and lovely haul for Valentine's!You 'll make your skin happy though for much longer!! 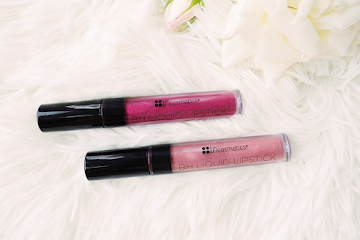 @Karen: Thanks babes, yes, describing scents is one of the hardest things of beauty blogging! But I try to do my best in hope that someone will benefit from it! I surely do too when I'm about to order scents I've never tried b4 online!!! And yes, I know what you mean about body products, I have a tendency to stock them up as well!!! Or to...overstock them, haha! Omg I am going to HUNT THIS DOWN!